Vincent has not updated the personal profile information on this page. Please contact Vincent and make this suggestion! First I want to commend Travis for his incorporation of the GLO's into the showing of a movie in class. My principal will love that. We too have discovery education and they do have some really great stuff and you have the easy option of showing an entire clip or only a certain part of it. I also like to use clips from Khan Academy. They have an amazing array of offerings. This is a very positive discussion thread. I feel that I learned a great deal from the Coral reefs scipack and also from the coral reefs sciguide. NOAA has so much stuff on coral reefs, its not even funny. You can learn everything you want through their offerings. I will check out the Gail Gibbons book and Thanks again for such an interesting discussion. The first thing I liked about this sciguide was the lesson plan Its Elementary, My Dear Class. I liked this lesson because it got the students to become involved in noticing trends in the periodic table. It was interactive and got the students up and involved music. It got them thinking about the elements all around them in their lives. The other great thing was the technology component where the students researched elements on-line. This is the kind of thing that makes these sciguides great. I really like the element games from Jefferson Labs. I have heard so much from the community forums about oobleck. It was great to find a complete lesson plan about Oobleck, Glurch, and Goop. Hey this is the kind of thing that kids will remember their whole lives. 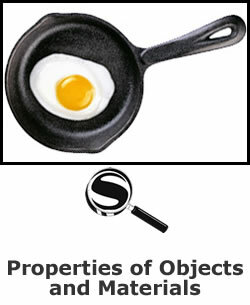 They’ll get messy and they’ll learn about change of properties. I also found a website that has a lesson where the students get to make their own ice cream. Sounds like fun. And Dirtmeister’s science lab also makes a mess and a change in property. And there is another interesting lesson plan about density, mass and volume. This is similar to a lesson I recently taught, but this one gave me some good ideas to enhance my lesson. I liked the Chem4Kids quiz. I found an intriguing site from PBS about chromatography and its uses in crime solving. And if any of my students were involved in the international boiling point project, we would be the first from Hawaii. I also liked the PBSKids Science Rocks lesson on water density. I thought the visual elements periodic table was pretty interesting. And I liked the site with the lesson about the properties of water. All in all this was an interesting sciguide. It was not as rich in resources as some, but it did have some nice lesson plans. I can’t wait to try the oobleck lab. And I want the kids to make ice cream. I give this sciguide a 4 out of 5. I loved this sciguide and gave it a 5 star rating. All of the links were great, especially those to the NOAA national ocean service. 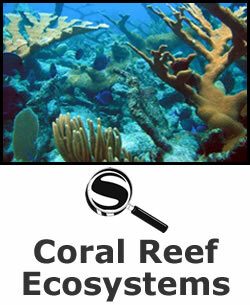 Those NOAA sites are unbelievable in that you can learn everything about coral reefs. I got an interesting lesson plan about using toothpicks to estimate coral spawning success. I found another cool lesson plan called a reef of one’s own. NOAA’s ocean explorer lessons were a very good resource too. I liked the lesson called history’s thermometers and another about the importance of currents. I live in Hawaii and was thrilled to see so much information about the Northwest Hawaiian Islands. I saw lessons there for almost any science discipline from physics to life science to earth science. Since there are so many threats to coral reefs these days, I was encouraged to find so much about conservation. There was a great lesson plan called caution- do not bleach from NOAA. In fact the NOAA ocean service education lesson plan library is terrific. I found information about the human benefits from coral reefs, referring to the benthic drugstore. The OBIS webquest what’s killing the coral with ideas for reversing the trend was good. There is a lot which urges kids to take action and they are the generation that is going to have to fix the problem. I found an amazing lesson keeping watch on coral reefs. There is so much real time monitoring of the global coral reef situation through the planetary coral reef foundation and the save the reefs campaign. There is a huge amount of information and access to help our next generation become stewards of the reefs. I was impressed by this sciguide and it really made me realize that if you want to learn something, there is nothing to hold you back. There was so much in this sciguide that anyone who takes full advantage of it would be almost an expert in coral reefs. It is through resources like this that the word will get out and enough people will become knowledgeable and we can stem the tide of reef destruction and we may have a more positive outlook for the future of these amazing and beautiful structures. Some of the things that I liked about this sciguide are the sites that deal with forces and Newton’s Laws. I got clarification on Newton’s 2nd Law F=ma through a cool and engaging NFL video about kicking. I got a lot of information about Newton’s 3rd Law through another NFL video, this one about kinematics, position, velocity, and acceleration. These real life (and something I’m interested in) examples got me to really understand those principles. The sciguide drove home to me the importance of Newton’s Laws as they relate to understanding gravity. Another site I liked was Park World Plot, a cool interactive site from England that makes learning about forces and friction fun. 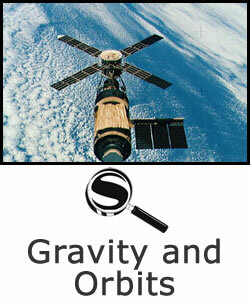 I learned about the effects of velocity and angle when it comes to orbits through a site called planet impact. I liked trying all the different settings to find out what would happen. I did not know that the comet could be broken apart by the gravity of the planet. Right away, I am planning a lesson on weight, w=mg, and how it changes on other planets. I liked some of the interactives and simulations and want to try to incorporate them into my lesson planning. One thing that I really like about sciguides in general is the access to such a large amount of internet resources. The NFL videos are great and would make perfect additions to a discussion of Newton’s Laws, and the kids would probably never watch a football game the same way again. As we transition to common core standards I look forward to using the sciguide to try to find resources and ideas to help me meet those standards. And, as we continue to move off of the Earth, to the space station for instance, I can see a variety of topical lessons dealing with escape velocity, weightlessness, and orbit. The sciguide can help me to enhance my lessons and further my students’ understanding and curiosity.